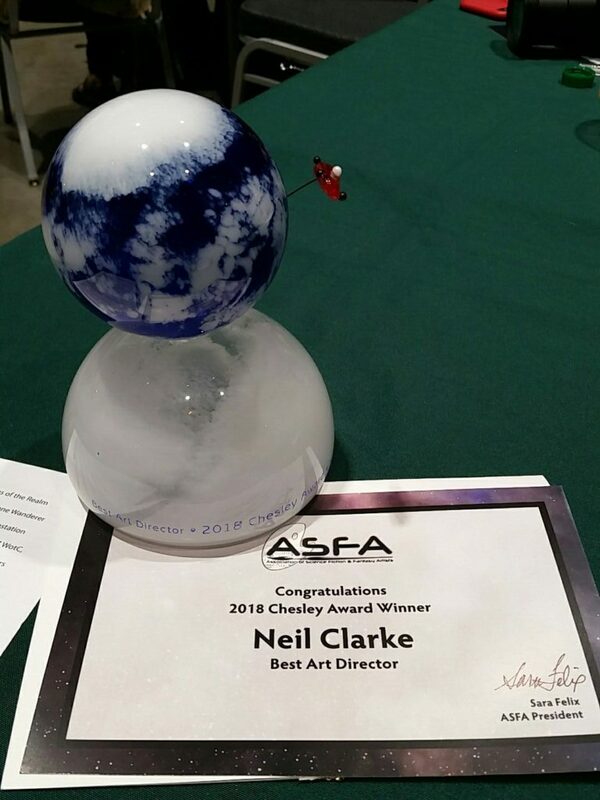 I would like to thank the members of ASFA for awarding me the 2018 Chesley Award for Best Art Director. The category was filled with people that I am in awe of and would have been content to lose to. I was so convinced one of the others would that I didn’t have a prepared speech and was caught completely off-guard when my name was called. Oh and did I mention that it was my birthday that day? Oh and that little red thing sticking out from the award, that’s a Tesla in orbit.